A British aid worker was shot dead on Tuesday night in South Sudan’s capital Juba, the Foreign Office has confirmed. The victim, who hasn’t yet been named, reportedly worked for the Carter Center. He was killed by a gunman who had followed him back to his compound. The circumstances suggest it could have been a targeted killing. The Carter Center, which is based in Atlanta, Georgia, hasn’t yet commented on the reports. The NGO was founded in 1982 by former US President Jimmy Carter. It is reportedly working on the eradication of guinea worm, a water-borne parasite, in South Sudan. A spokesperson for the Foreign and Commonwealth Office confirmed a British national had been killed. 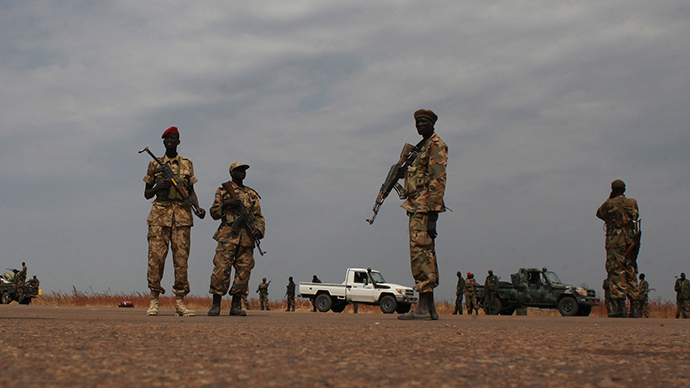 Fighting broke out in the world's youngest nation in December 2013, when President Salva Kiir accused his sacked deputy Riek Machar of attempting a coup. The International Crisis Group estimates at least 50,000 people have been killed since the outbreak of violence. Aid workers have repeatedly been targeted in the 14-month civil war. In August last year, six South Sudanese members of international aid agencies were murdered in what appeared to be ethnically motivated attacks. In October, the armor-plated car of the US ambassador in Juba was hit by two bullets. Around 2.5 million people in South Sudan are at risk of famine, according to the United Nations. It further estimates 3.9 million people will face food insecurity this year.